ROKPA: Hospitality Training | The school offers one-year certificate programmes in hospitality services. 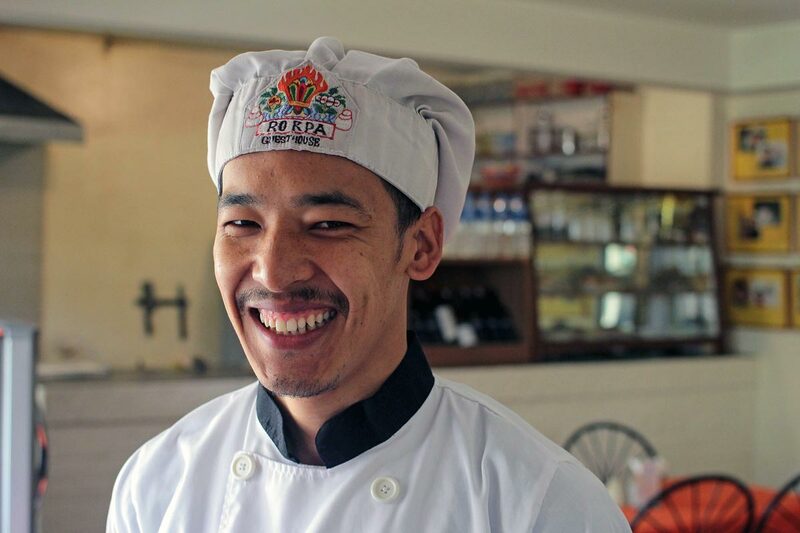 The ROKPA Hospitality Vocational Training provides the opportunity for young people to follow an exceptional one year course which focuses on the hospitality industry. The course emphasizes the development of practical skills, including a 3 to 6 months internship in the Kathmandu valley area, giving the highest probability that students will find employment after they complete the course. To give youth quality training, ensuring skill development, job-readiness and high employability in the hospitality industry. Students will spend 25% of their time learning theory and 75% in practical training. This pattern of education is possible because the school is attached to a running hotel consisting of twenty-two rooms and one restaurant. Certificate course in Food Production: The food production programme focuses on the different areas of the kitchen such as hot section, cold section, bakery&pastry. 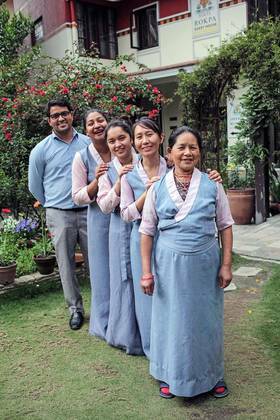 It teaches mostly western and Nepali cuisine. The aim is to be able to work as a cook or a baker at the end of the course. Certificate course in Food and Beverage Service: The Food and Beverage service programme trains students in the restaurant operations such as taking order, serving beverages or making cocktails. The aim is to be able to work as a bartender and waiter. Certificate course in Room Division: The Rooms Division programme includes housekeeping, laundry, public areas and front office. The aim is to be able to work as a receptionist or as a professional housekeeper. All 3 courses also include training in computer skills, English, basic math, professional behaviour and grooming. All together you will learn a lot in one year which will be useful for the rest of your life. The students’ daily schedule will comprise 2 hours of classroom study and 6 hours of practical work. Students have one day off in a week. The daily routine of class and work will be organized so as to familiarise students with the work hours and schedules which they will face in the industry. This is NOT a residential program therefore students will be responsible for their own living and transportation arrangements. Please note that students will often start early morning or might finish late in the evening. All students will eat one meal a day in the hospitality training cafeteria along with their teachers. Wardens and teachers will ensure student‘s safety and overall well-being. Our objective is to provide youth with an affordable opportunity to train for employment in the hospitality industry. Please contact us regarding the fee cost – we also provide scholarships for those who cannot afford it. Students who have attained the required skill levels will receive a government-approved certificate by GATE College and a certificate by EHLsmile association in Switzerland. Students who successfully complete the course will be helped in the search for employment. Do you want to follow this course? Do you want to find employment in the hospitality industry? Then this is your chance to apply! A copy of the candidate’s citizen ID must be attached to the application form as proof of age. If you do not have this certificate you should provide us with another official proof of your age. You will be invited for an interview. The ROKPA Hospitality Vocational Training is being set up together with GATE College, one of the most renowned Hospitality schools in Nepal and the EHLSmile Association from the Ecole Hotelière de Lausanne in Switzerland, one of the world’s leading hotel schools. They will use their expertise to ensure that students receive high quality ‘on-the-job’-training. The teaching faculty will have both academic qualifications and strong experience in the hotel industry to support the students. The hospitality industry is all about taking care of people’s accommodation, food, and travel needs when they are away from home – on business, on holiday, or for tourism. institutional and industrial catering including educational institutions, hospitals and government offices. airline agencies, event planners for parties and conferences, travel agencies requiring service-oriented staff or tourist guides. A wide scope of employment opportunities await our graduates! ROKPA is an international relief organisation – ROKPA is the Tibetan word for ‚help‘ and ‚friend‘. Most of ROKPA’s aid projects are carried out in the Tibetan areas of China and in Nepal, focusing mainly on education, medical care and food. ROKPA attaches great importance to the self-help approach. Education has proven to be the most efficient way of assisting people in need to escape the poverty trap and to protect themselves against being exploited and abused. This is why ROKPA, through our education schemes, prepares disadvantaged children and adults for a self-determined life.